Worried about the security of your data? Concerned about losing sensitive information on the move? 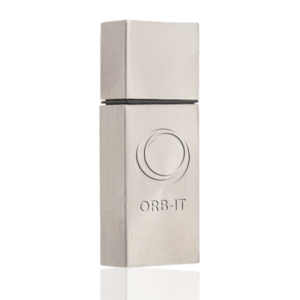 We have the perfect solution, in addition to top tier data encryption we now offer personalised usb drives with lids. Now your data is safe from theft, computer hackers, and even orientation related data loss and the effects of gravity. Ok…maybe your data WONT fall out of your USB if you leave the lid off, but durable as our USBs are, we still advise that you use a lid where possible to keep dust away and ensure your connection and functionality is maintained. In the ever-evolving era of micro-storage, these USB’s could even be described as “Old School”, their Lid-based design has been around a few years now which is a millennia in technological terms, but their reliability and quirkiness has made them a favourite for all. Many of our lid based designs feature creative and unique designs, from capsules to slick gunmetal designs. Why not add an extra degree of functionality with our bottle opener USB sticks, or impress the kids with a Lego Brick design – Just be careful not to stand on it. Whilst not the most innovative of USB options on offer, the broadness of our range of Lid USB’s has something of a personal touch which many brands will find ideal for their purposes.